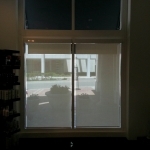 Roller Shades are continuing to be the answer for many of our clients’ commercial enterprises. 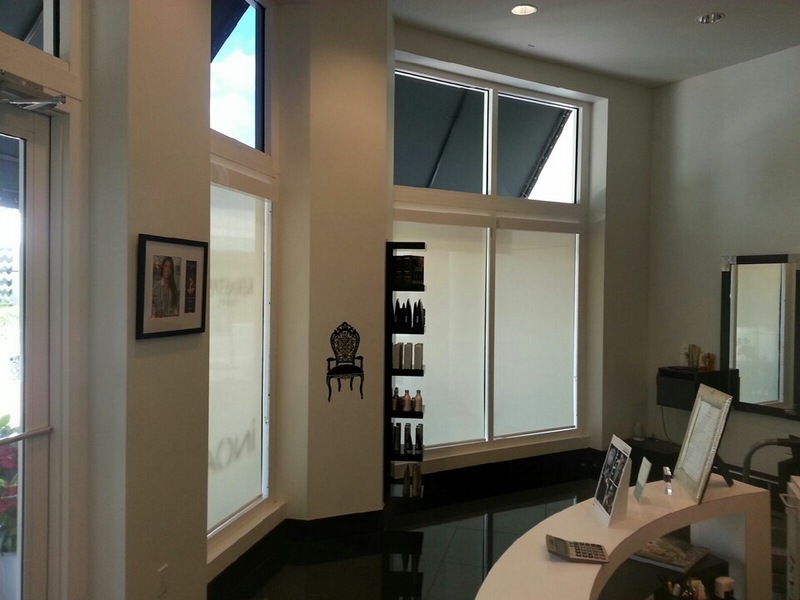 Recently Nadia Paris Hair Salon, located in The Village at Gulfstream Park, turned to us for a solution to their window treatment needs. After a consultation they decided on our ever popular 10% White/White fabric with matching white fascias. As you can see from the photos below they came out perfect. 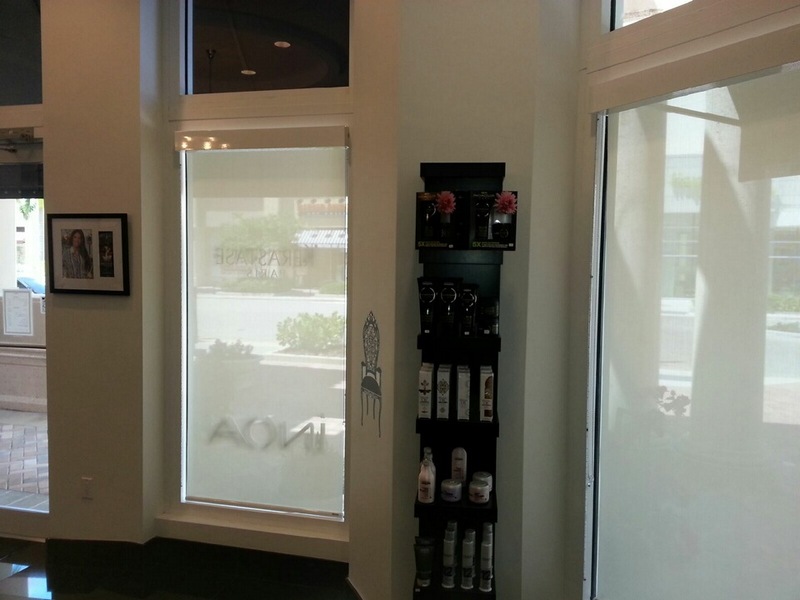 Roller Shades offer the perfect balance of good aesthetics and energy efficiency every store front owner should want. Not only will these new shades help keep the salon cool during the day, but they will also lower the air conditioning bill during hot summer months. 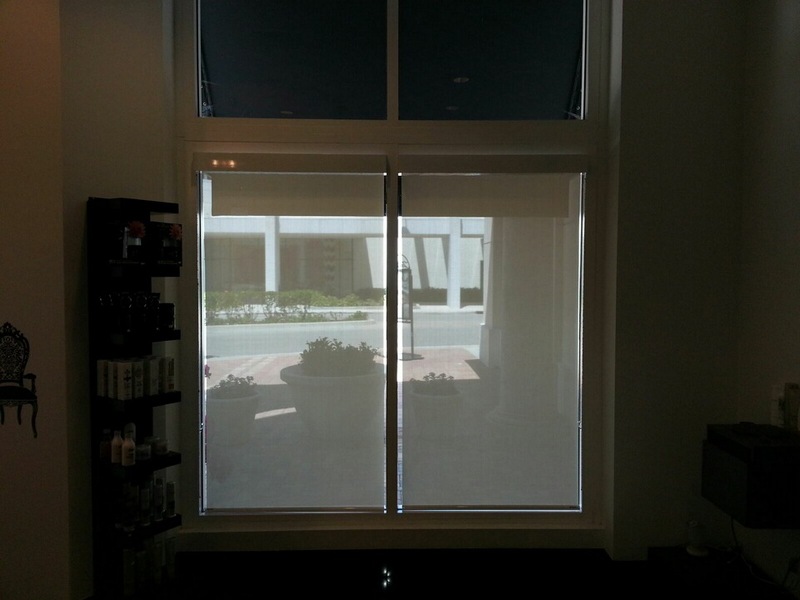 These shades still allow a level of visibility to any patrons sitting inside, yet add a layer of privacy since passersby outside cannot look in at clients with proverbial rollers in their hair. 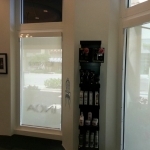 If your commercial business or store front is interested in any of our great Roller Shade products and fabrics contact us today for a free estimate. After all, how many phone calls can you make that will both make your business look better and cheaper to operate?